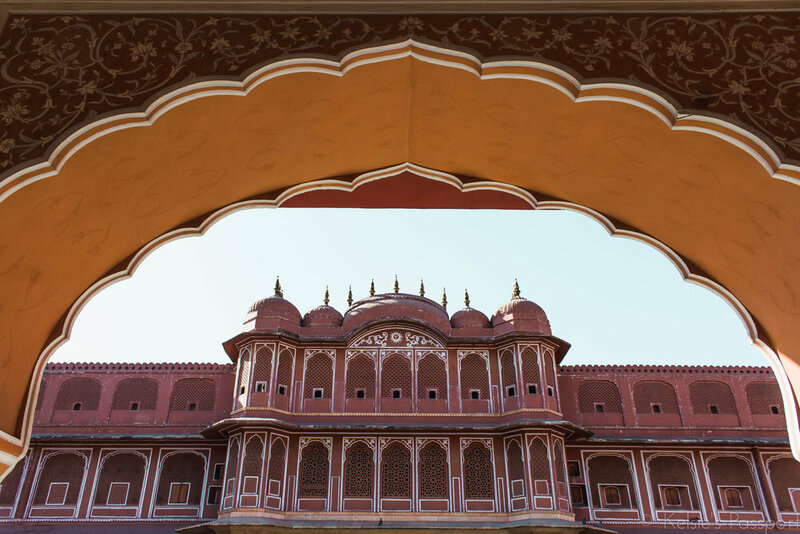 The Hawa Mahal - aka the Palace of Winds - completed in 1799 is constructed on red and pink sandstone. The original function of the lattice was so that the royal ladies could look out over the street without being seen, as they had to obey "purdah" (face cover). (Wikipedia is full of good information). 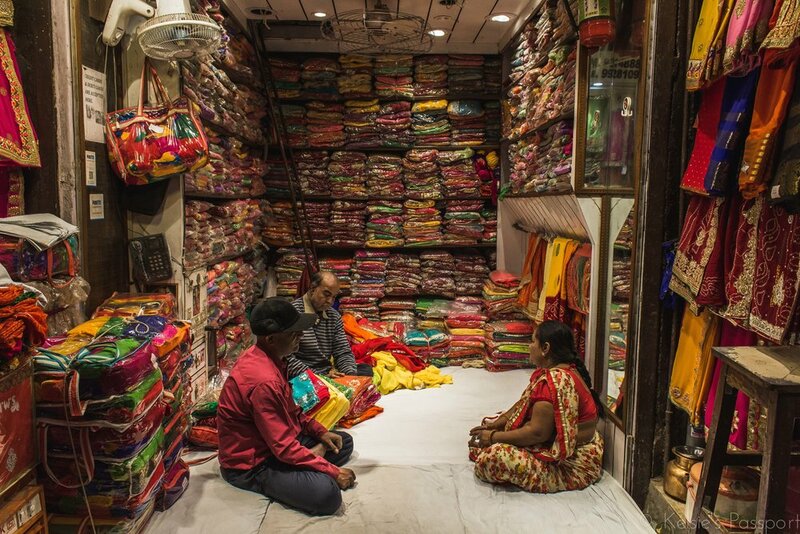 It's more than just pink, though, thanks to the colourful markets that line the streets. 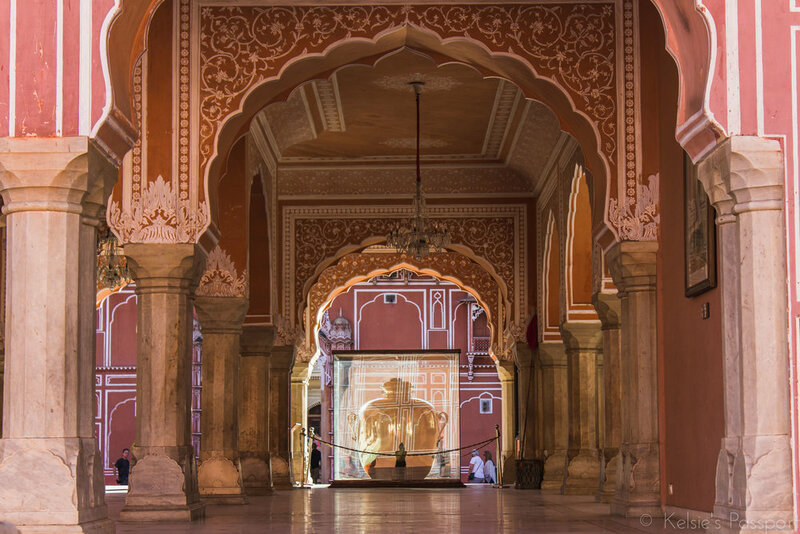 I love love love colourful towns, so of course I took a squillion photos in Jaipur. Also, it seems, the people of Jaipur, and India in general I would say, love to have their photo taken, so you'll get to see the people of Jaipur as well. Here they are! It's very difficult to get a shot of a gate from the centre of it without getting hit by a car, but I done did it. Where else in the world would you see a small parade of elephants casually walking down the street? Welding and holding a conversation at the same time. No biggie. Crushing sugar canes. Indians love their sweets. The busiest street I'd ever been on. It took a while just to walk block. What a (noisy) adventure. Telling me he doesn't know why everyone honks in India. They just do. Every door leads somewhere. Except this one. Making chai, a favourite of the Indians, on the side of the road. I found people in India, and especially in Jaipur, loved having their photo taken. India has b-e-a-u-tiful doors and none more so than in Jaipur. 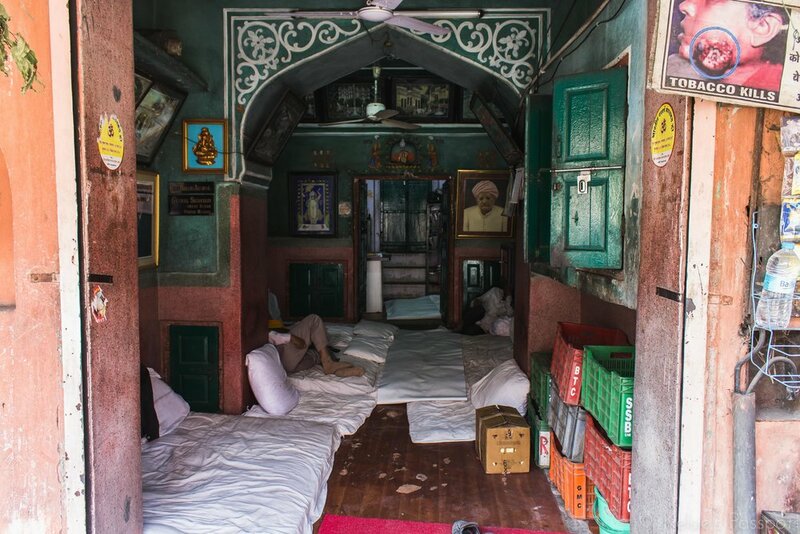 The Galta Ji temple, aka monkey temple, was one of my favourite places in Jaipur. This was, of course, before the monkey attack of Rishikesh. You'll have to ask me later about that one, but the point is it was scarring and I'm not a little afraid of monkeys. There was a pool of water that was said to be holy, and people flocked here to bath in it. I myself did not, as I don't believe in holy water, but do believe in diseases from water full of monkey pee and poo. Three young boys were flying kits from a rooftop near the Galta Ji temple. They let us have a turn. A man dyes a piece of cloth teal, to be used to make a sari. 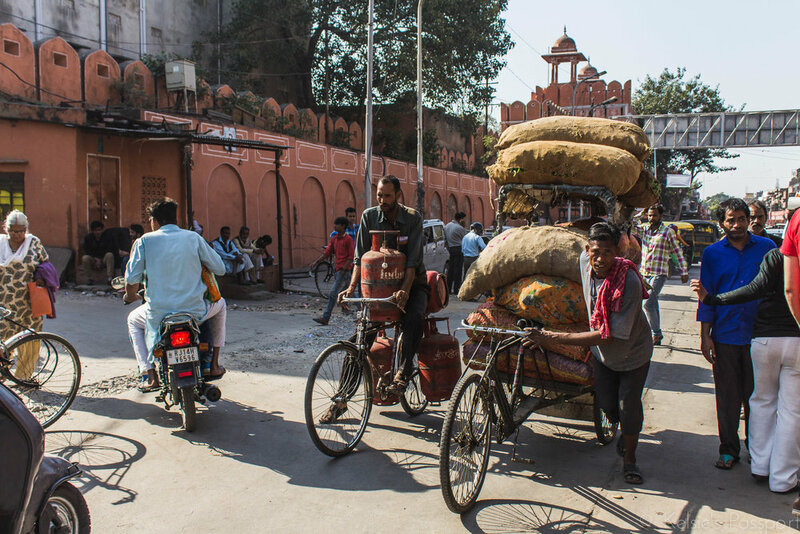 Walking along the streets of Jaipur, there's no shortage of interesting things to see. Everywhere you look there's hidden little staircases that sharply lead upwards into the unknown. I wanted to sneak up one but I was chicken. Goodbye from the Prince and thanks for checking out my photos!